﻿Raku is a Japanese method of producing pottery, and loosely translated, 'Raku' means 'pleasure' or 'enjoyment'. It's a process best enjoyed in a group as there is much to be learned and shared through each persons' individual response to this ceramic process. Raku is a process of open air firings reaching temperatures around 1000°C, removing the pottery as the glaze is molten, and quenching it in water, or placing it in a chamber with combustibles such as sawdust, straw or seaweed, creating exciting and unpredictable results. 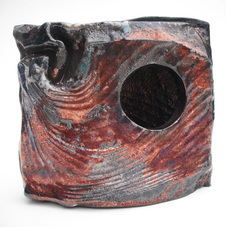 The Raku process creates distinctive ceramic qualities: a lustrous surface on the glaze, a carbon-suffused body, where it has been left unglazed, and the crackling of the glaze recording the thermal shock of the pot as it moves through the process. 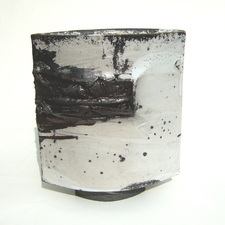 A rough, groggy clay body is used to create Raku, and pots are often made very simply, reflecting the roots of the process, and the original function of the ware. 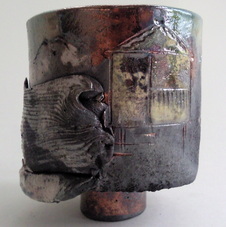 Raku ware was originally made for the Japanese Tea Ceremony, a Buddhist ritual, and reflects contemplation, and a sense of place or location. Raku ware marked an important point in the historical development of Japanese ceramics, as it was the first ware to use a seal mark and the first to focus on close collaboration between potter and patron.